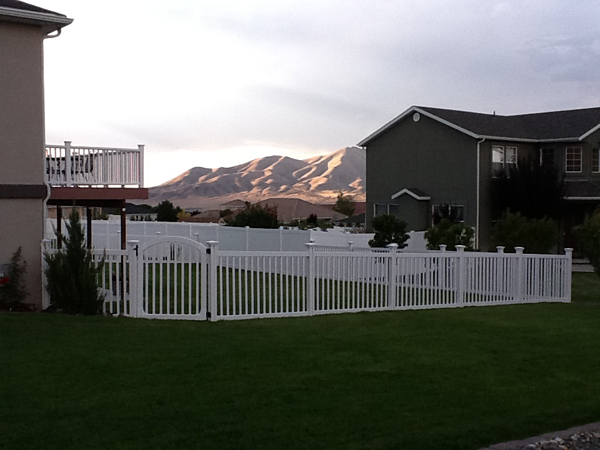 Tobin Does Our Vinyl Fence Proud! I completed the fencing project of about 200-feet of Plain Jane vinyl fence in three sections with two gates over the last two weekends by myself. It has been over 20-years since I worked on a fence, so this one was a bit different. Not hard, just different in a good way with my neighbors being amazed at the swift progress and professional appearance. With a view like that, we'd like to share a beverage with you on that porch! Oh, and the mountains are nice, too. I thought I would share some thoughts and pictures with you and the other “Wam-Bammers”. The bent tip LOCKED the post in the wrong position and height such that would NOT move up or down or even twist-around with a 36′ pipe wrench. After an hour or two I dug down through the “hard pan” to almost the base, but then exhaustion turned into innovation. I used a compression fitting to adapt a water hose to the 1.25″ OD Wam Bam steel post and literally “hosed it out” after pounding/loosening the dirt plug out. This might work as well to water-dig a hole (messy though). A quick tip when close to another fence/wall and the steel post inevitably leans the wrong way. Although counter-intuitive, bend it to you a bit more, but then twist it around 180-degrees with a pipe wrench. Be care full to have the lower yellow anchor already in place because the pipe wrench will burr the steel post, (and watch your hands as well). As the remainder of the pics show, the three sides and two gates look and work great. 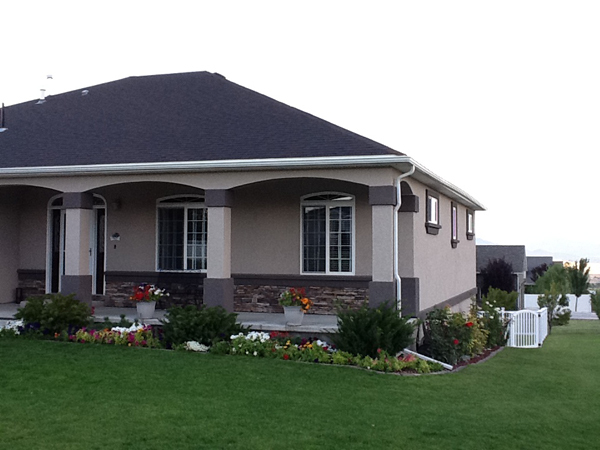 We used the Plain Jane for continuity with with our existing rear porch deck railings. We also think the 4-foot height and open rails are more neighborly than a 6-foot solid panel. The gate on a 45-degree angle looks and works great since I used the hinges to obviate the whole angle issue. However, I had to use an old (it was in the bottom of one of my tool boxes for 20+ years waiting for its moment…) wood gate latch that I could reverse. The Wam Bam latch was not reversible – being either upside down or with the handle tang backwards. I have a 4-pack set of the posts leftover. Maybe some day I will enclose the entire side yard and around the front as well. The mini-wiener dogs vote YES, but the “SheFO” votes NO and I am apparently a laborer with no votes. Thanks for reading, peeking at pics. Please let me know if I have a shot at the $100 contest, (but don’t mention that possibility to Sheila). 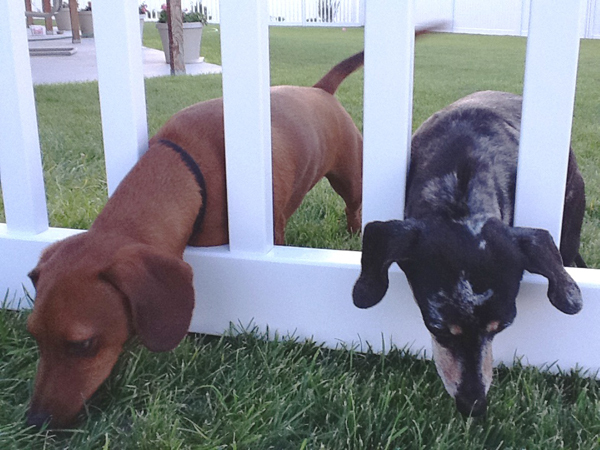 "Hey, what's with this fence? Now we can't roam the neighborhood anymore!" I wanted to try this product because of the innovative approach. I was NOT disapointed! Everything arrived OK and the instructions were great. Their website and news letter were done first rate and fun to read. 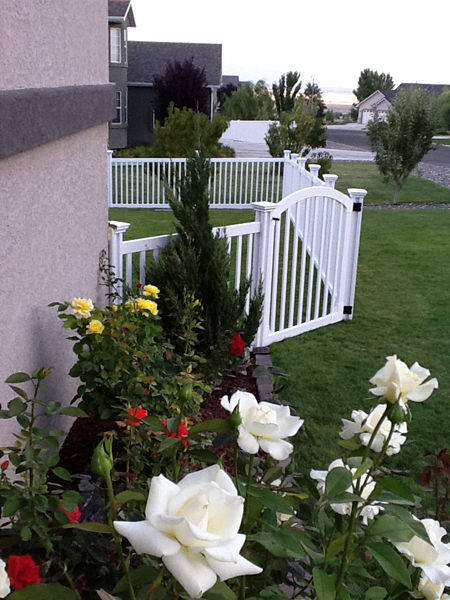 This fence panel – along with the rest of their gates, posts, etc, were thought out as a full product line – not simply copied in the cheapest manner as some products are. You still need to think about how to lay it out, but if you make an error – you can actually back up and it all works out OK. Thanks Tobin, for being such a great customer and for taking the time to share your experience! 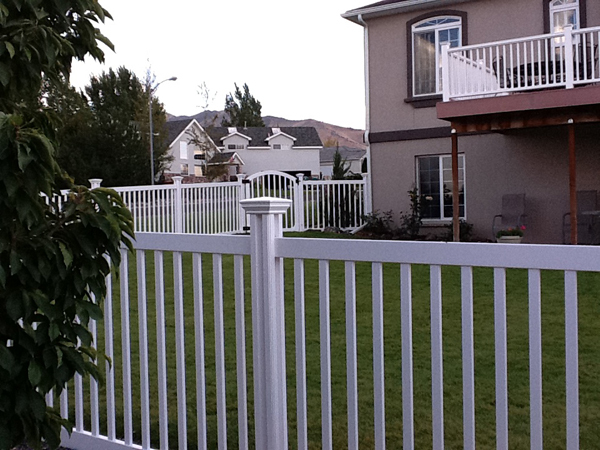 PS We vote “YES” to enclosing more of your property with a WamBam fence! And yes, you definitely have a shot at the contest! 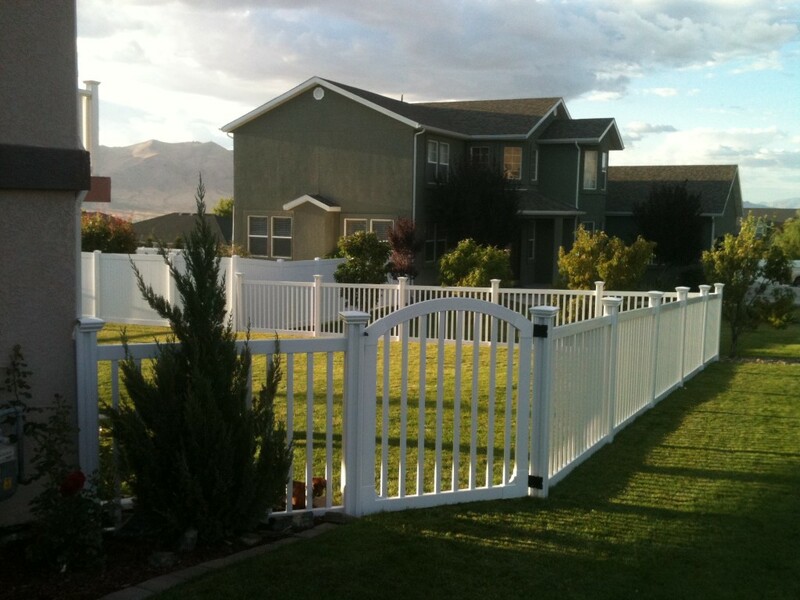 Your house and property does our fence proud! Here at WamBam Fence, we strive to offer the best technical support that we possibly can. In an effort to provide assistance to people outside of business hours, and to also make it easier for customers to easily search for answers, we are happy to launch our new knowledge base. Our knowledge base is a no-nonsense, highly searchable repository of articles giving the answers to obstacles customers might encounter while installing their fence. Have any suggestions for usability, functionality or article suggestions? Drop us a line- we’d love your feedback!